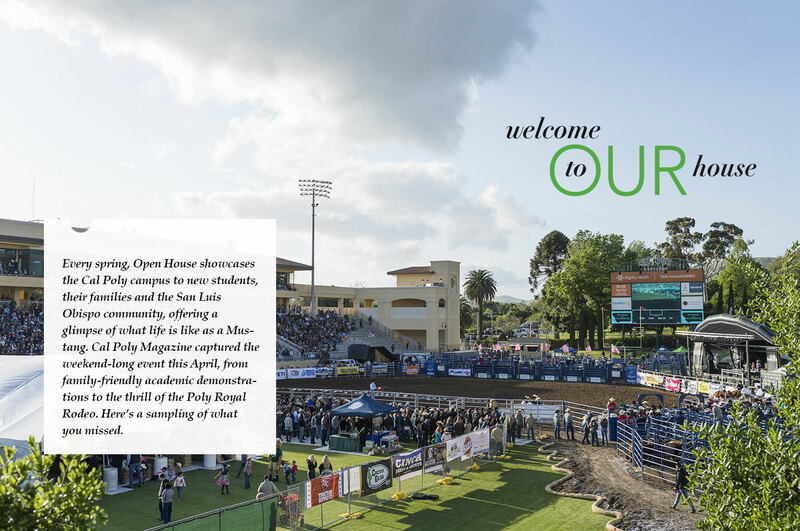 Every spring, Open House showcases the Cal Poly campus to new students, their families and the San Luis Obispo community, offering a glimpse of what life is like as a Mustang. 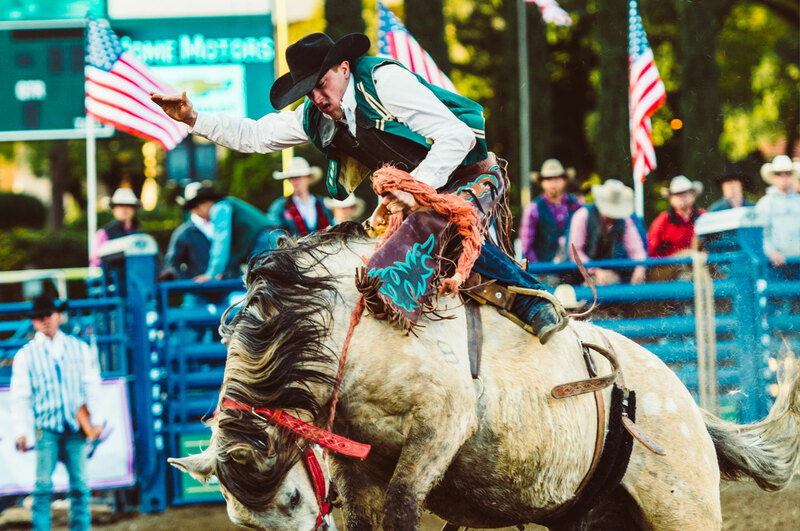 Cal Poly Magazine captured the weekend-long event this April, from family-friendly academic demonstrations to the thrill of the Poly Royal Rodeo. 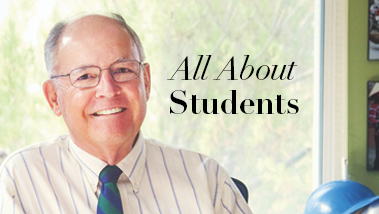 Here’s a sampling of what you missed. 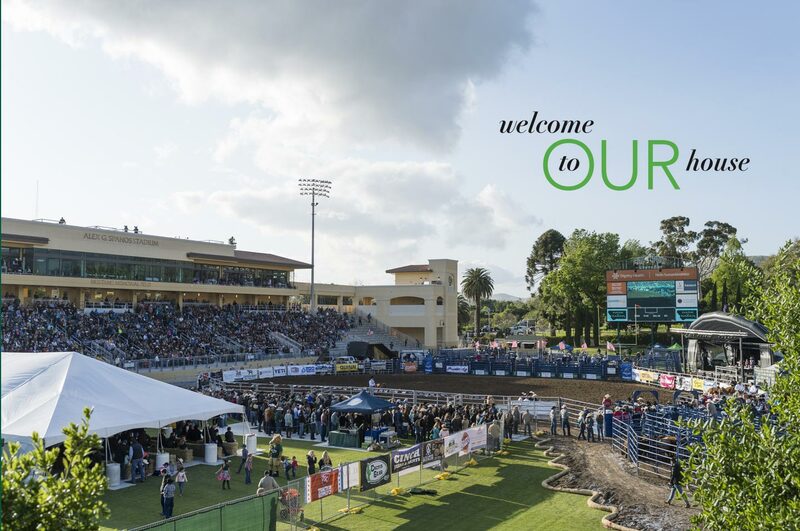 For 96 hours over Open House weekend, Spanos Stadium transformed from a grass field to a dirt arena to host the annual Poly Royal Rodeo. 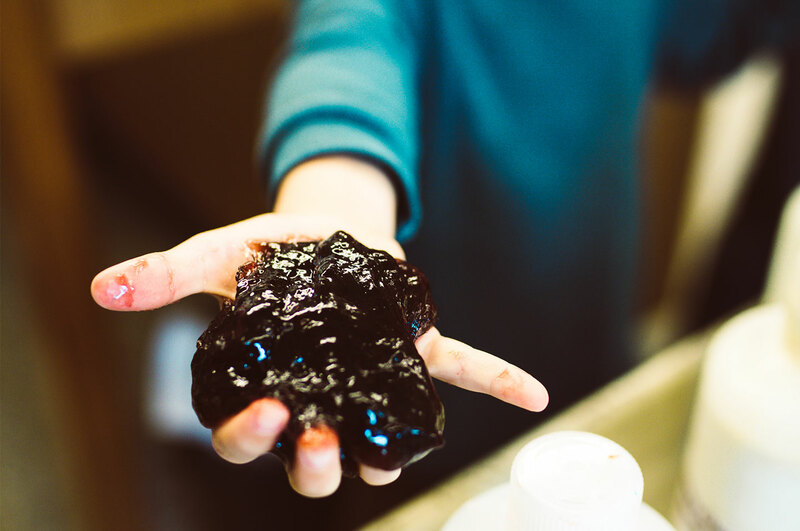 Families and community members were invited to get hands-on with interactive demonstrations at the Baker Center. 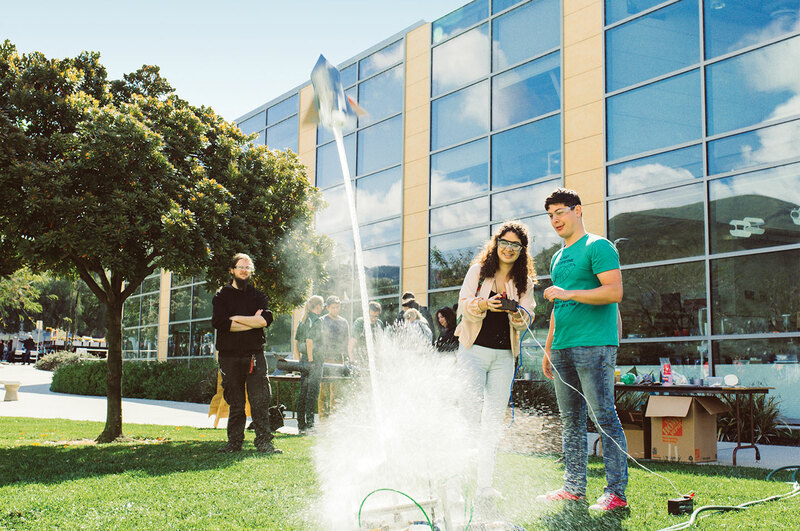 Students and visitors learned principles of aerodynamics at bottle rocket demonstrations hosted by the College of Engineering. 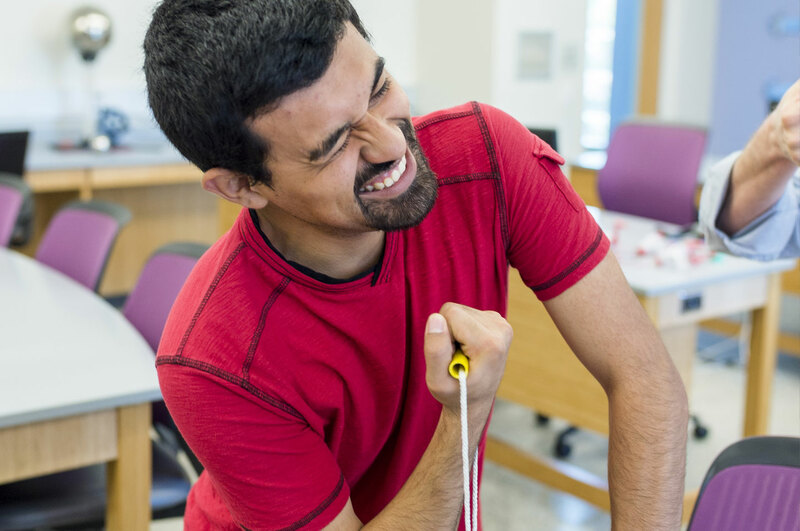 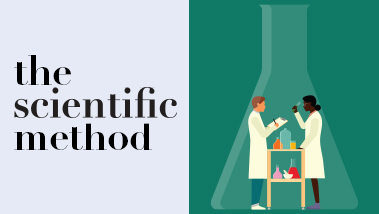 Students tested their strength against powerful suction cups at the Cal Poly’s College of Science and Mathematics demonstration at the Campus Showcase. 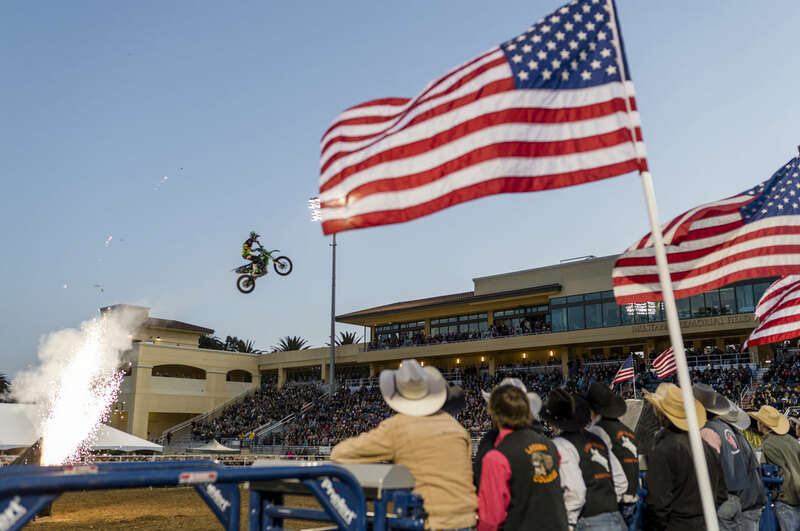 More than just riding and wrangling demonstrations, the rodeo also included an electrifying motocross stunt performance. 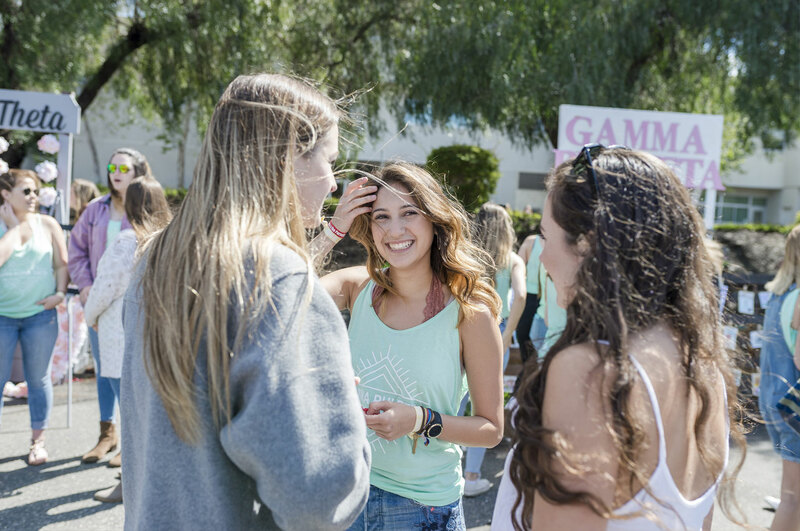 Current and prospective students alike took a look at all of the clubs available on campus during the Club Showcase. 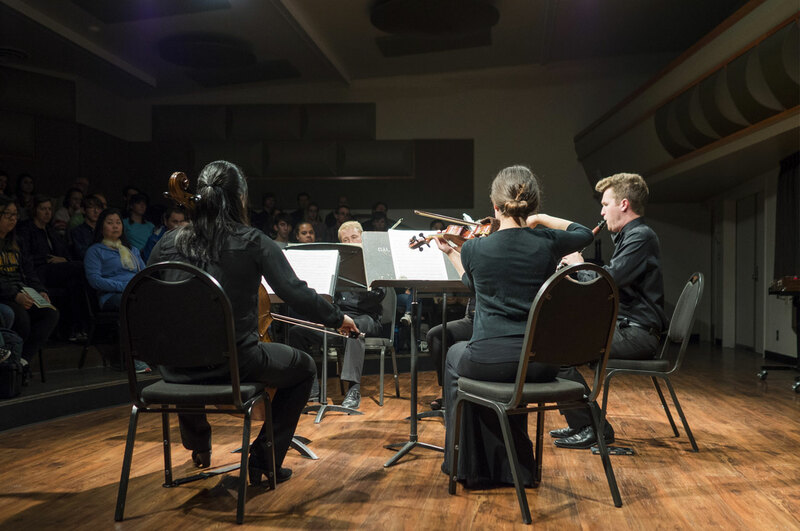 The Chamber Ensemble Recital featured various student music groups on Saturday afternoon. 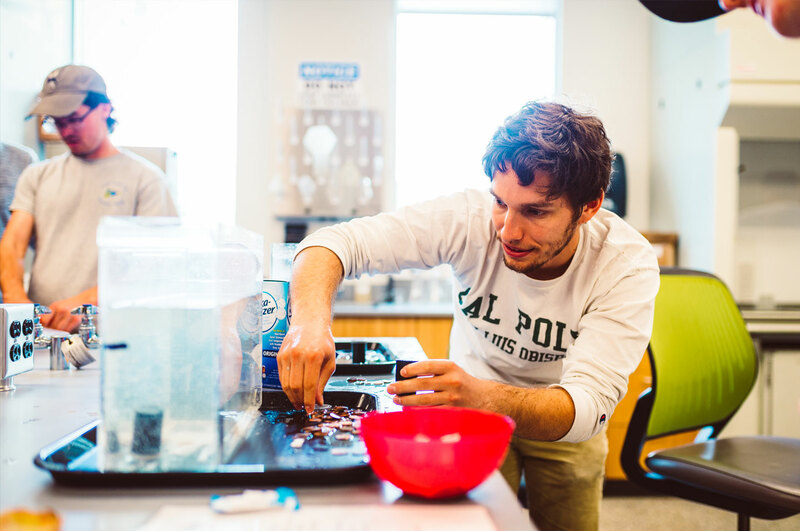 Cal Poly students guided visitors in building their own miniature submarines as part of a chemistry demonstration. 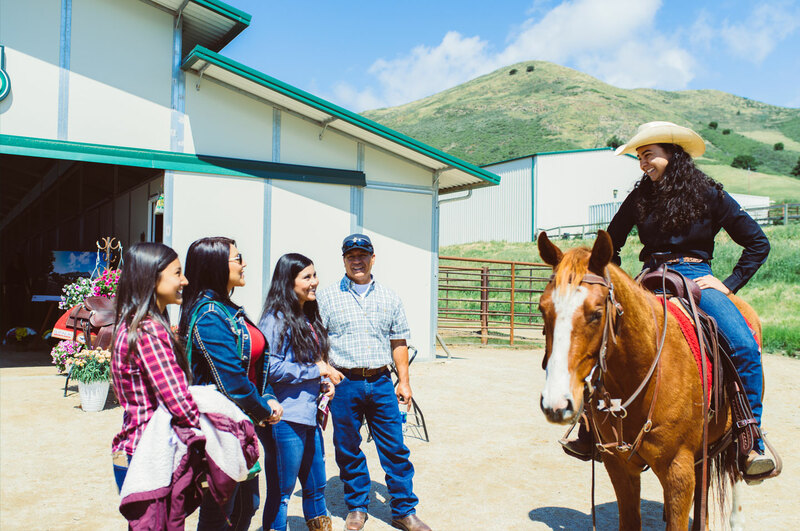 At the equine unit, visitors met the students who work with Cal Poly’s herd of horses and even met Chase, the mustang mascot. 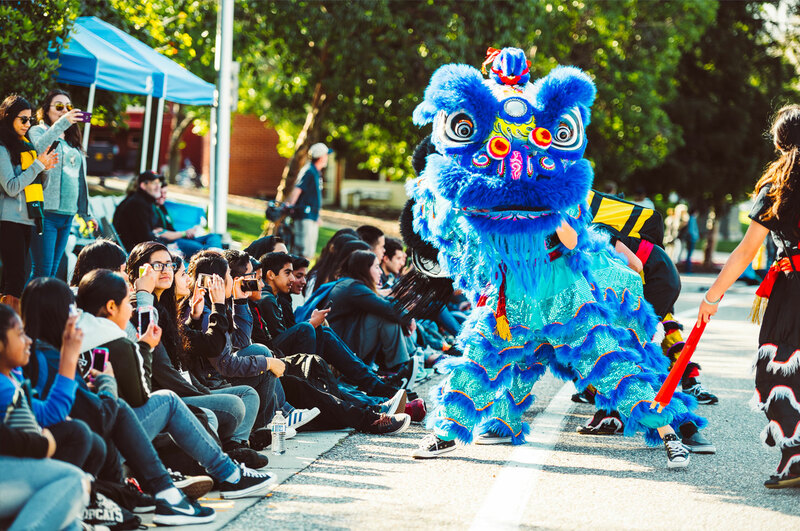 The Poly Royal Parade wound its way through campus on Saturday morning, featuring entries from both campus and community groups. 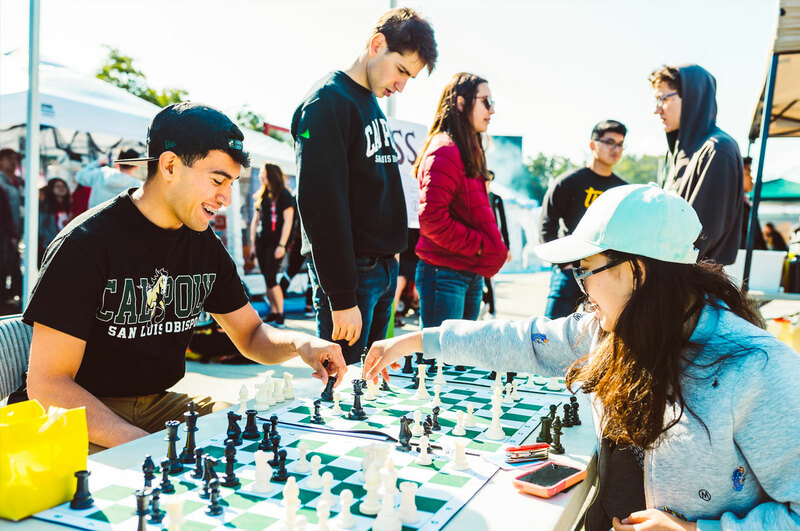 At the Club Showcase, the Chess Club challenged students and visitors to friendly competition. 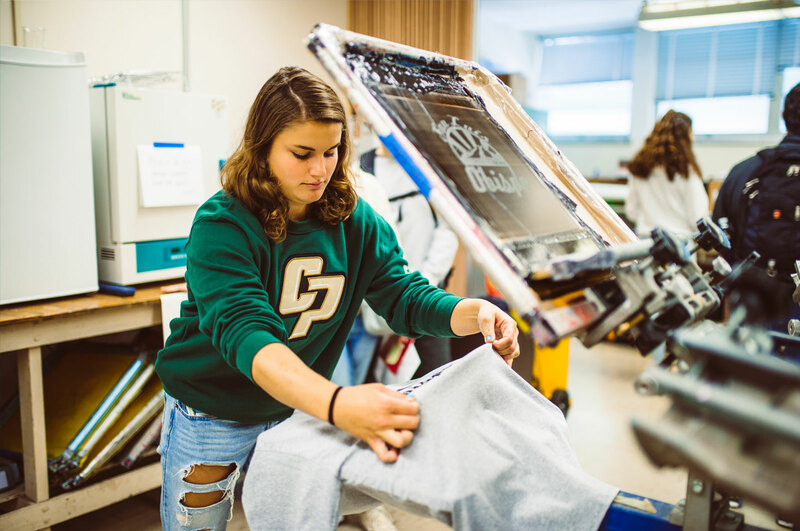 Visitors had a chance to screen print their own t-shirts with a demonstration hosted by the Graphic Communication department. 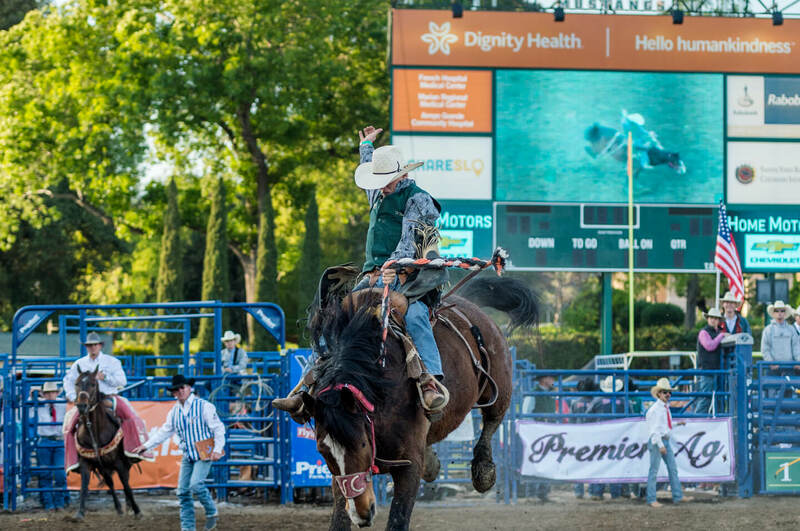 The Poly Royal Rodeo drew nearly 11,000 fans in its new location.